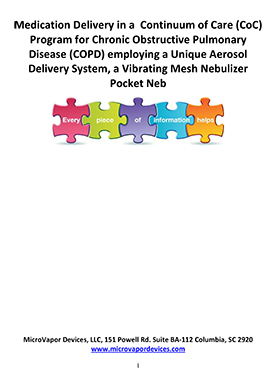 Pocket Neb™ is a lightweight, portable vibrating mesh nebulizer for aerosol drug delivery to patients with respiratory conditions like asthma and COPD, available by prescription only. The Pocket Neb™ is small. Including the lightweight rechargeable battery, it weighs only 10 ounces and fits easily into a pocket or purse, so you can carry it wherever you need it. 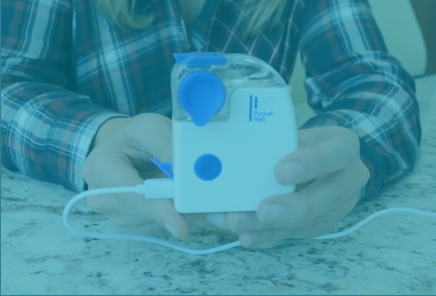 The Pocket Neb's small size and simple dosing means it is easy for anyone to comply with their treatment plan. 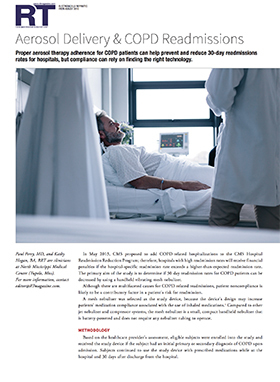 Better compliance means fewer acute episodes. That means more peace of mind. 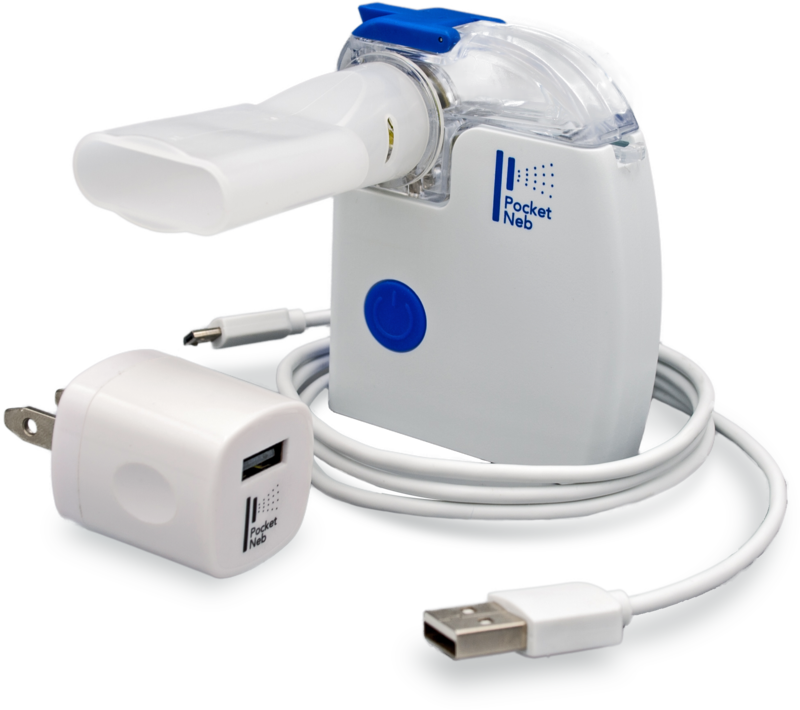 Read about how proper aerosol therapy adherence for COPD patients can help prevent and reduce 30-day readmission rates for hospitals. 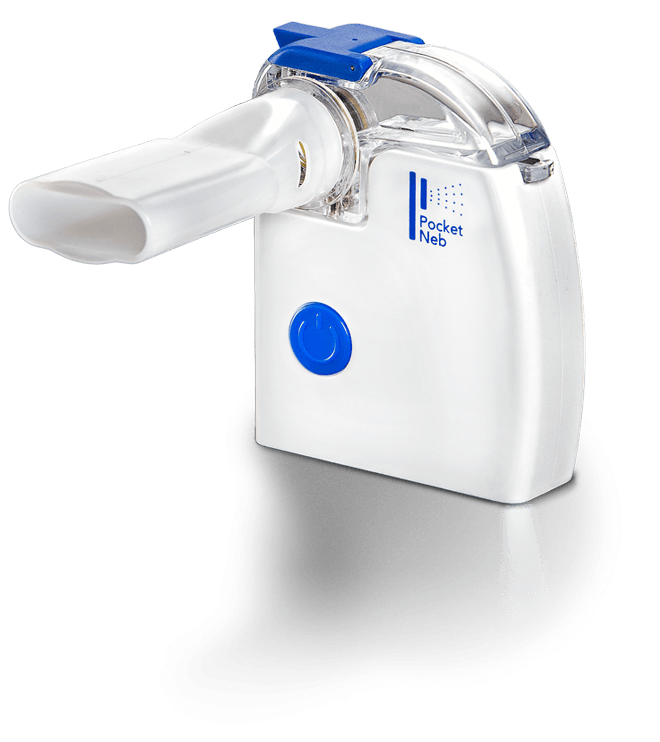 The Pocket Neb's convenient features and aerosol delivery make it easier to manage your chronic respiratory symptoms on the schedule your doctor recommends— so you stay in control. Read about Pocket Neb's continuum of care program to help reduce hospital readmissions when used in-patient and post-hospitalization. 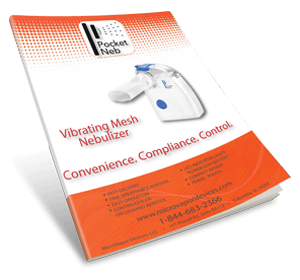 Pocket Neb™ is a portable, rechargeable, vibrating mesh nebulizer that lets you live life on your schedule. Simple features mean total convenience.